It may not have gotten the same attention as the original echochrome did at E3 2007, but the sequel looks like one of the more promising games coming to the PlayStation Move, Sony's new motion controller. Similar to WiiWare game Lost In Shadow, echochrome ii puts an emphasis on solving puzzles with light and shadow gameplay. 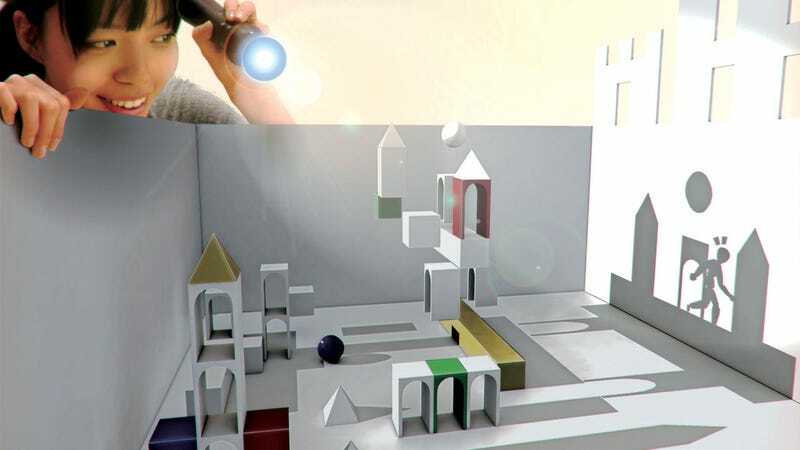 Using the PlayStation Move controller as a flashlight, players cast their beam onto the playfield to expose hidden paths and exits. Expect the same type of user generated levels in echochrome ii when it comes to the PS3 and Move this fall.